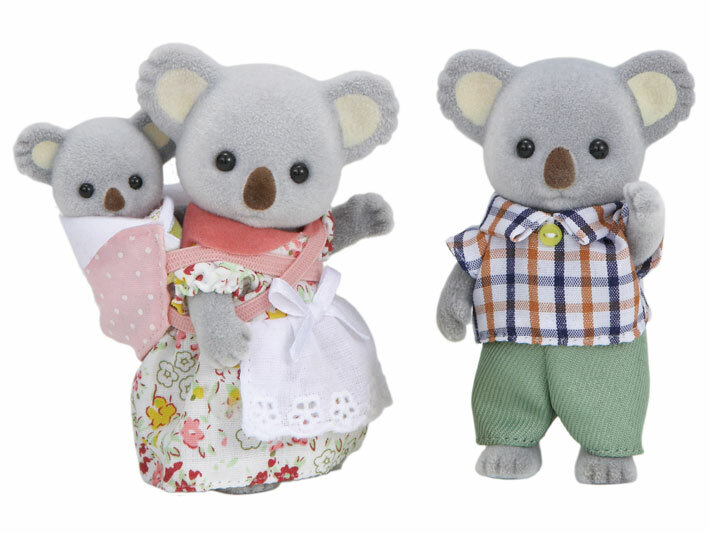 Koala Family is a four-piece set including Koala Father, Mother, and Baby (Sitting). Includes a Piggyback Ride Sling. Mother, Sheila owns her own eco-friendly shop. She sells everything from organic lotions to tote bags made out of 100% recycled paper! She also enjoys being outdoors, tending to her vegetable garden and spending time with her family. 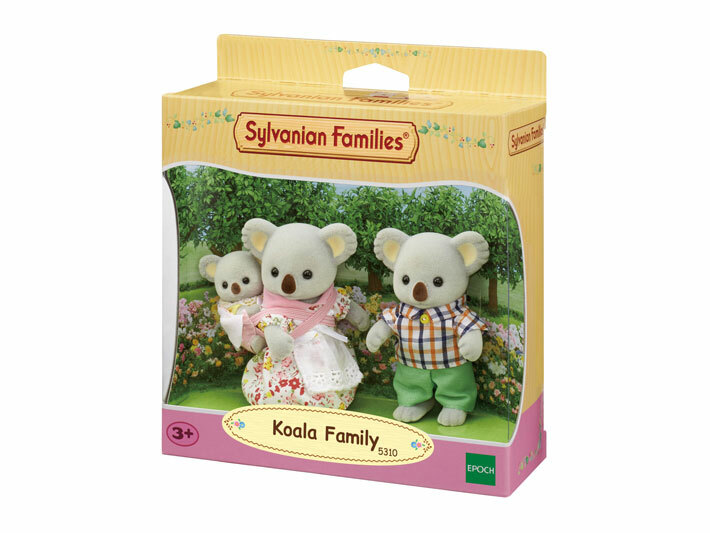 Father, Bruce is the leader of the Sylvanian Village Environmental Awareness Society. He is very passionate about conserving the environment for the future. He loves teaching critters how to reduce, reuse, and recycle products. 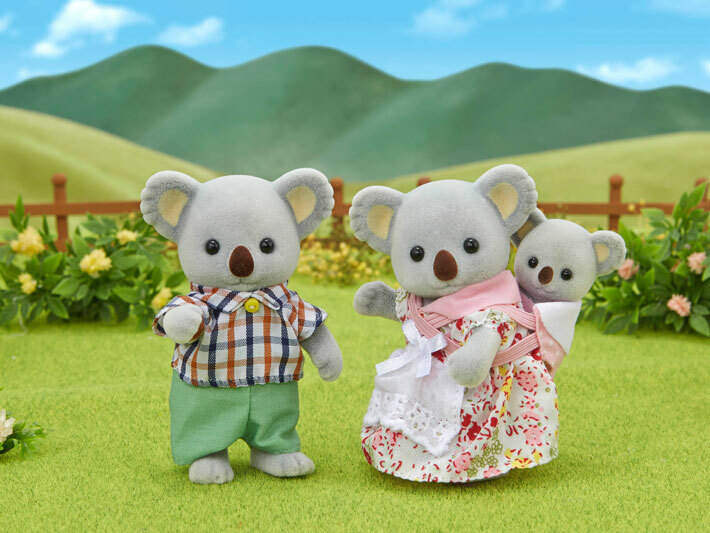 In his free time, he takes his family on fun hiking trips! Baby Sister, Julie is very attached to her Mother. She is always giving her piggy-back rides! She loves being outside, so she can look up at the trees and search for birds. She also likes to play in the Adventure Tree House with all of her friends. Combining with other homes, furniture, and figures (sold separately) allows for even more enjoyable pretend play.